It’s almost Killington Cup time! The fastest female ski racers in the world are coming to Killington Ski Area for the third year in a row to battle it out during Alpine Ski World Cup 2018. Slalom, giant slalom, fireworks, parades, movie screenings, live music, and so much more. November 23rd through the 25th, 2018. Thanksgiving weekend will never be the same after these last three years of exciting, Alpine Ski World Cup racing. 2016 marked 38 years since Vermont had the honor of hosting an Alpine Ski World Cup. Now, after two amazing years in a row, the third and final (for the moment, at least) event is almost upon us. 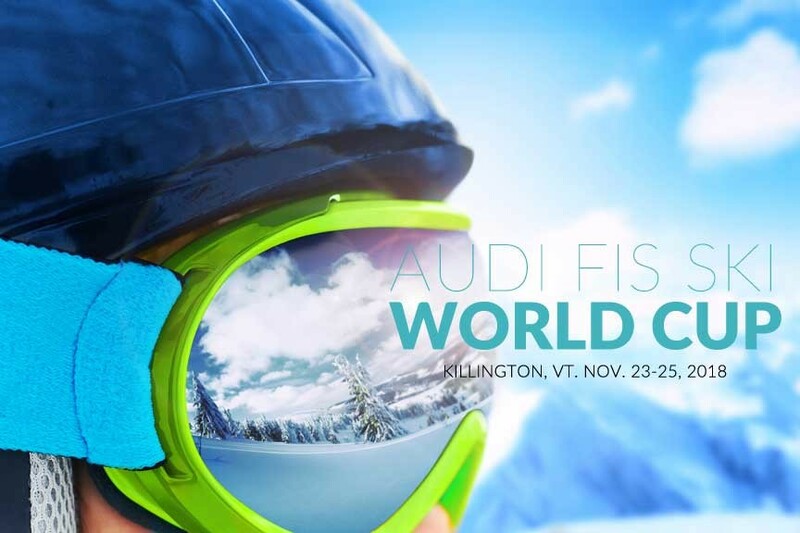 2016 and 2017’s Alpine Ski World Cup events at Killington attracted upwards of 30,000 spectators to the area. The 2018 races should see similar – if not even larger – crowds. And why not? The Killington Cup is the biggest ski racing event on the East coast and general admission is FREE. Who wouldn’t want to watch as 100 of the world’s fastest women ski racers challenge each other and themselves on Killington’s peerless slopes? The Audi FIS Alpine Ski World Cup is also a lively weekend festival that includes fireworks, parades, 2 movie premiers, and 4 live concerts. Teton Gravity Research will premier its film Far Out on Friday, the 23rd. Warren Miller’s Face of Winter will be screened on Saturday, the 4th. Musicians for this year’s event include Michael Franti, Paul Oakenfold, KT Tunstall, and Guster. Get Out On A Vermont Dog Sled Adventure!